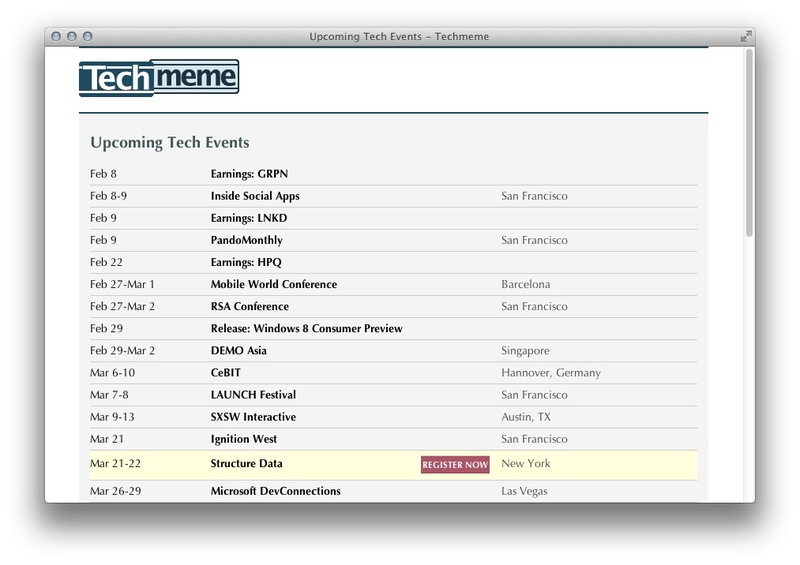 What’s interesting about the site’s approach to events listing is that it’s aiming to automatically list those events which are likely to produce stories that would appear on Techmeme. If an event isn’t caught, it can be submitted manually for consideration. There’s a final option, as well, which can give an event a highlight (such as Structure Data, as seen above). 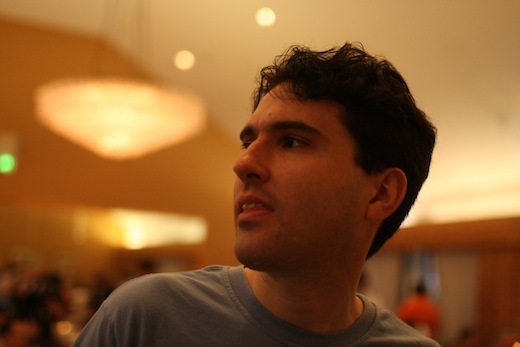 It’s a smart move from Gabe and the Techmeme team. Of course, the fact that The Next Web Conference is included might sway our opinion just slightly.